Situated along the Missouri River, St. Charles is home to one-of-a-kind shops, restaurants, and parks. From the Fox Hill Apartments, you can explore all the sights and sounds of the river city. Spend your day strolling the cobblestone streets of Historic St. Charles, jogging at Katy Trail State Park or looking for deals at the St. Louis Outlet Mall. Whatever your interests, there are always new places to discover in St. Charles and our friendly staff are here to help. If you do need to leave town, don’t fret! 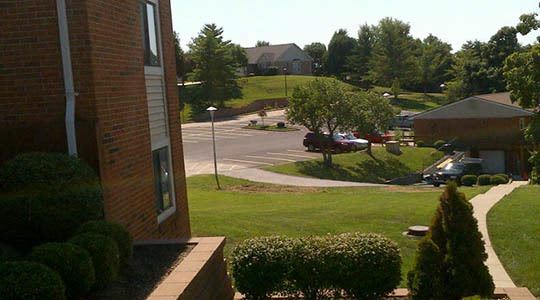 Fox Hill is a short drive to Lambert St. Louis International Airport. Whether you’re looking to travel, shop, eat or play, we can’t wait to welcome you to your new home at Fox Hill. If you’re ready to make Fox Hill your new home, contact us to arrange a personal tour today.